On the second Thursday of each month, we gather at a local brewery and raise a glass for the Cooper, Ashley, Wando, and Stono Rivers (CAWS). This week we are at Edmunds Oast! 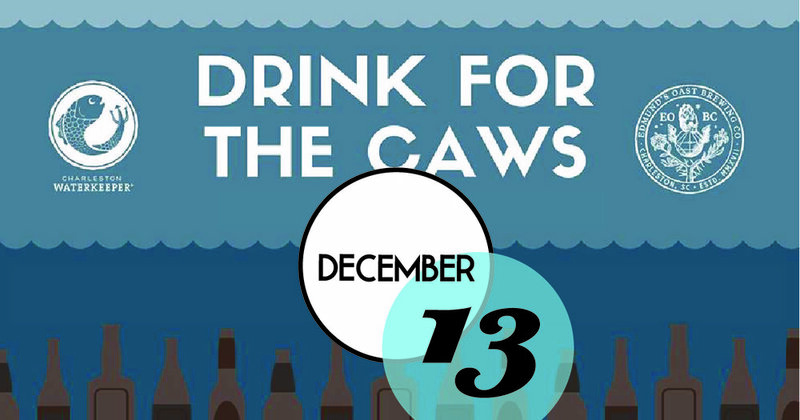 Come out, grab a drink, meet your hard working Charleston Waterkeeper team, and celebrate our beautiful river and creeks. A portion of the proceeds will support Charleston Waterkeeper’s mission to protect and restore your waterways so you can enjoy them without fear of pollution.